Adobe’s PDF reader is very popular as the standard for viewing PDF files. However, there are some other great applications that you can use to open your PDF files anytime you want. In this article, you will read top 5 online PDF viewers that are available on the market. You can use these applications as the alternatives for the Adobe’s PDF reader. They are chosen because they have many great features for all users. Here are the best online PDF viewers for you. This is a good online PDF viewer that you can use to open your PDF files. By using this application, you are able to view PostScript and PDF files as the images. There is no plugin or software required to use this online application. This is considered as the open source application. Therefore, you are allowed to download the script of this application. This application is a part of the Zoho office suite. By using this viewer, you are able to view many different file formats, such as Microsoft office files, Open Office files, text, HTML, PDF files, and many other formats. Because of that reason, many people love using this online application. This application is very easy to use. You can open your PDF files directly from your Internet browser. Many people use this online application. It is a great tool to open and edit your PDF files through the Internet. This application only requires you to have active Internet connection and stable Internet browser. This is a free PDF reader, free PDF editor, free PDF form filler, and also a free PDF form creator. By using this application, you are able to open and edit your PDF files easily. This is another popular tool that can be used as the alternatives for Adobe’s PDF reader. Many people use this online application. 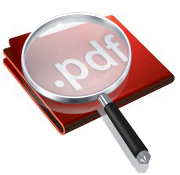 You can upload and view your PDF files easily through this online tool. You can also share your PDF files to other friends easily. It is equipped with sharing tools that can help you share your files easily. If you are looking for the best online tool to upload, open, and share your PDF files, you should choose this application. You can share your PDF files easily to other people. This application can help you open your files anywhere you want. They are some great online PDF viewers that you can use. By using these applications, you are able to open your PDF files anytime anywhere you want. As long as you get the Internet connection, you are able to open your PDF files by using these online PDF viewers. Hi. This service here allows you to easily edit, upload or download and how to fill PDF forms.